Transmission slipping? Gears grinding? 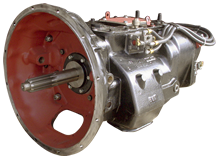 Your local Quality Gear distributor has the solution for your Meritor (Rockwell) Transmission on their shelf. Quality Gear has the components to ensure a long, productive life for your direct drive/overdrive manual or the popular ZF Freedomline automated transmission.